Listed below are the most up to date numbers from WHO regarding the main causes of death in the world. Those directly related to cardiovascular disease (CVD) are highlighted. For source and detailed information by country, please visit World Life Expectancy. 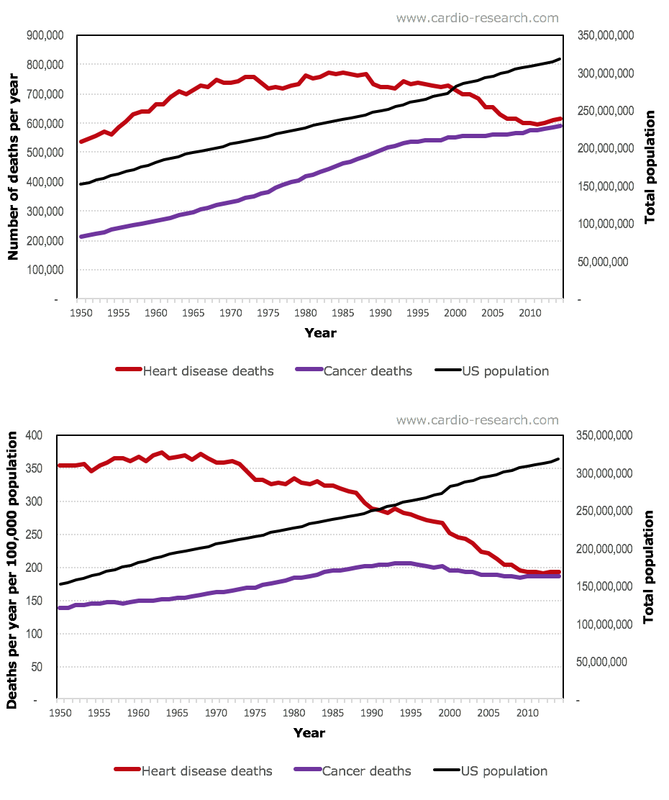 The two charts below show the trends of heart disease and cancer mortality in the United States, compared to total population. Since 1950, the relative mortality is steadily decreasing. Thanks to research, better treatments and diagnosis are available to fight heart disease. Education towards healthier lifestyles has greatly contributed to reduce heart disease too. Much has been achieved, but there is still room for improvement.